IQ Tests Online is the premier IQ Test website for Brain Metrics Institute, a leader in the development of high quality, intelligence and personality assessments. Brain Metrics Institute tests are based on extensive research in the field of neuroscience. Millions of participants have discovered their strengths and weaknesses. We provide insight into inner skills, strengths, and weaknesses; deepening self-awareness and empowering you to be more successful and happier. Getting started is easy. Contact us if you're interested in integrating the certified assessment tools for your university, business organization, or research project. Intelligence is the ability to learn, understand, or to deal with new or trying situations. Including the skilled use of reason. 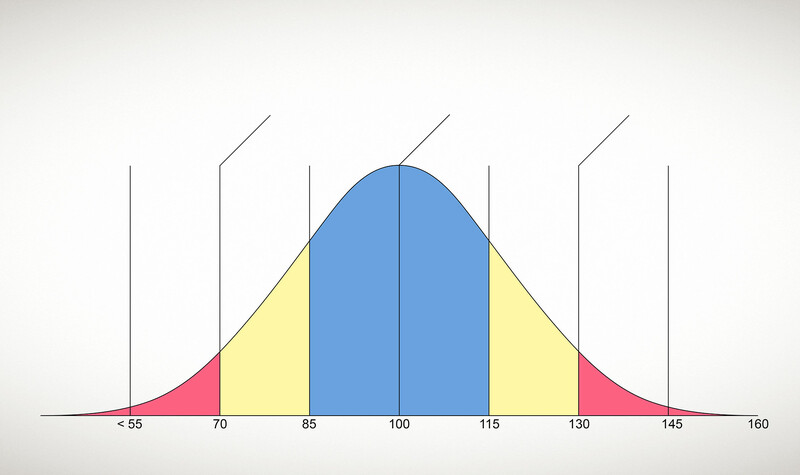 IQ Scores are connected to the IQ Distribution Curve of test takers, in which the middle section of the curve are test takers who do moderately well. The sloping sides of the curve represent those who do better or worse than average. And the edges of the curve are those with a very high or very low score. IQ classification labels provide a reference to the descriptive category of the test taker's scoring percentile. Emotional Intelligence is an essential component of a person's overall intelligence. Our comprehensive Emotional IQ Test measures over 30 dimensions, including Openness to Experience, Conscientiousness, Imagination, Artistic Interests, and Adventurousness.